Price Reduced! 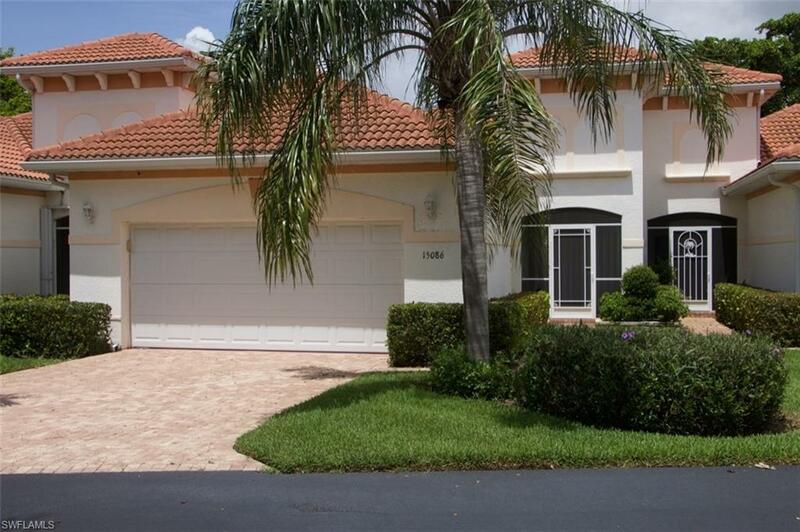 Built in 2006 NO CDD Fee, Hurricane Accordion Shutters, private screened room off the Living room. 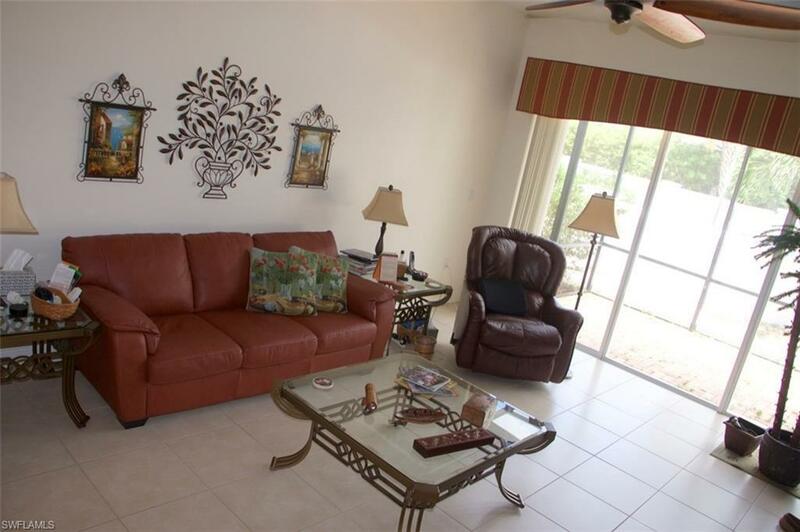 All in an established and desirable gated community.Convenient to Everything: Sanibel, Fort Myers Beach, Shopping and RSW Airport. Hurricane accordion shutters have been installed. This lovely home offers 10' Tall Ceilings with crown molding. Lovely Kitchen off the dining area offering 42" upper cabinets with crown molding and plant shelves to display your treasures and solid surface counters. 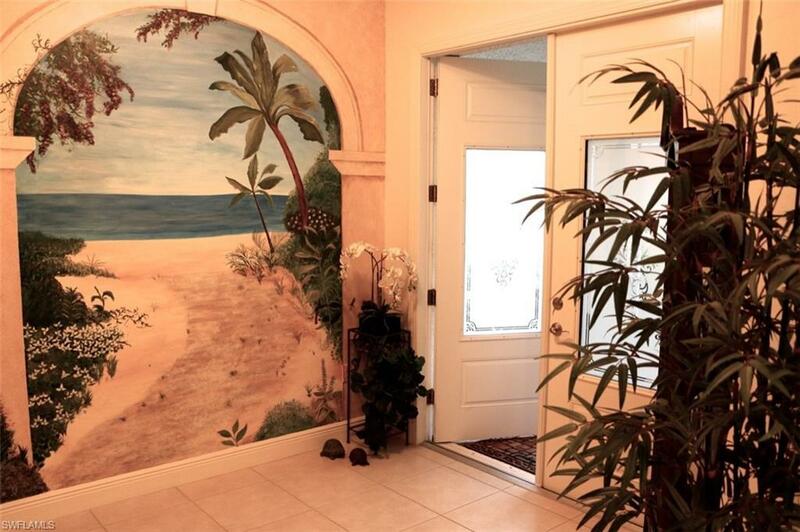 There is a custom Tropical mural in the front entrance way as well as a custom mural in the LR Tray ceiling. Lovely dining room off the beautiful kitchen and open to the living room as well. 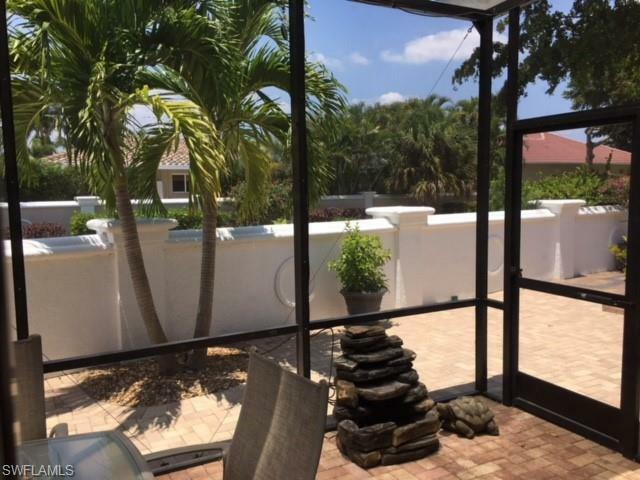 There is a spacious screened lanai off the triple 8 ' tall sliders as well as the entrance offers a screened area great for Cross Breezes. 2 Car Garage opens to mudroom with plenty of built in cabinetry as well as a deep sink to rinse your shells The community offers a pool and bathhouse and access to Water's Edge for: boating, fishing, tennis pickle ball, and picnic area at Water's Edge. Grab your Flip Flops, Beach Chairs and hit the Beach. Listing courtesy of Joan Dwyer Nass of Re/Max Realty Team.